I'm looking for a tool which can split MP4 video files. I have tried Any Video Converter but find that it is unreliable and forces choices on frame size but does not always allow me to choose the existing frame size. This seems so simple but I see a lot people talking about a lot of problems with a lot of programs. Is CLI so you can batch. 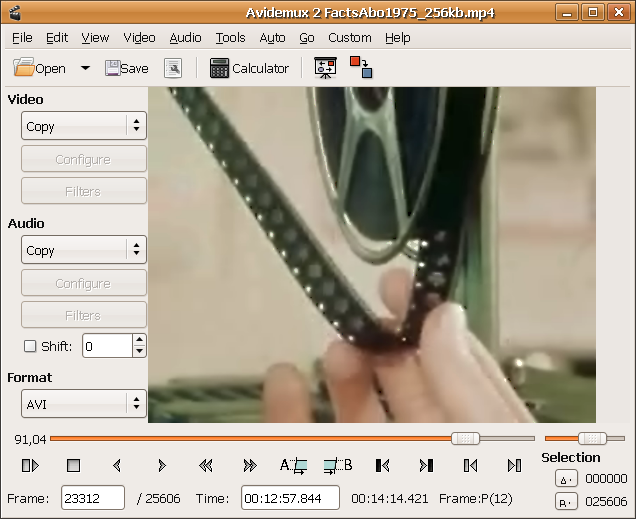 A good freeware application for splitting and cutting video files (including mp4) is Avidemux. It supports a lot of formats and it is multiplatform. You can modify frame size, framerate, codec as you desire. You can also calculate output file size before you begin encoding it. If you only cut/split video without changing codecs it is very fast! Not the answer you're looking for? Browse other questions tagged gratis video windows-7 or ask your own question. How to split one larger video into multiple smaller videos? Python framework for desktop app that can be deployed to a webb app later?